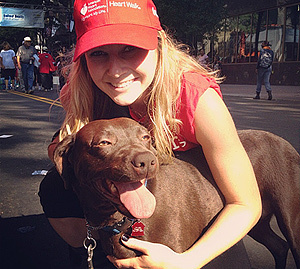 Karen Hill and Lika at their first Charlotte Heart Walk together in 2012. 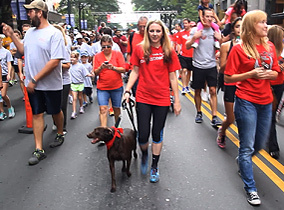 The 2013 Charlotte (N.C.) Heart Walk turned into a three-mile victory lap for Karen Hill and her dog, Lika. Walking with the 2,500 members of Team Wells Fargo, and helping raise more than $255,000 for the American Heart Association Sept. 21, the two celebrated their own return to heart health. I was thrilled to join the walk and to learn more about the team member giving and Wells Fargo Volunteer Program behind their celebration. The story began in May 2012 when Karen, a manager for Wells Fargo Securities, learned about Lika through a Humane Society of Charlotte posting on Facebook. She says that she felt a connection with Lika when she read that the dog, like her, also had a heart condition causing abnormal blood flow and fainting. A month later, Karen met Lika while volunteering at the Humane Society during the Wells Fargo Day of Caring on June 1. When Lika passed out while they played with a Frisbee, Karen decided then to adopt the dog. They walked together the first time for Wells Fargo in the 2012 Heart Walk, but Lika tired easily and Karen didn’t know how much longer Lika could live with her heart problems. 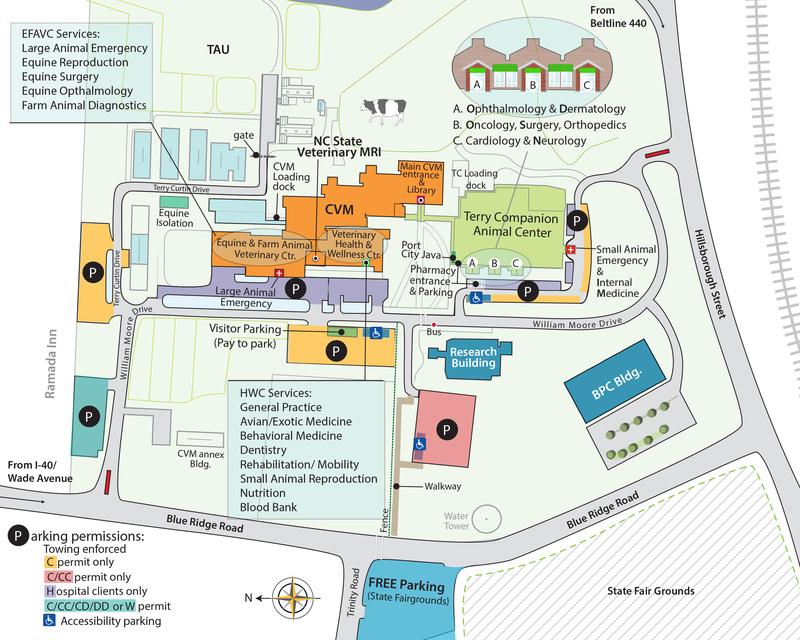 Then Karen’s veterinarian referred her to Dr. Jessica Ward at N.C. State University’s College of Veterinary Medicine. Dr. Ward confirmed that a surgery technique similar to the balloon angioplasty procedure used to treat human heart conditions could widen Lika’s narrowed heart valve and save her life. The May 2013 surgery did exactly that. Over the phone, Dr. Ward told me that her goal had been to reduce or eliminate Lika’s fainting episodes and decrease the likelihood of future complications. 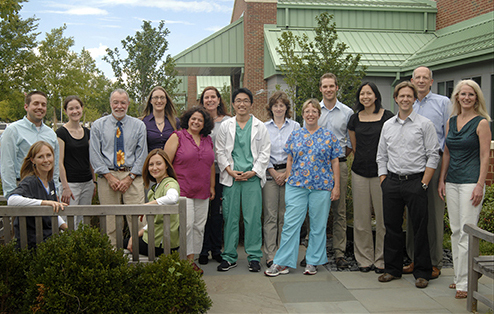 Before the surgery, Dr. Ward said that Lika’s heart likely would have failed within two years. But she now expects Lika to live symptom-free for many years. Hill and Lika finish strong in the 2013 fundraiser. As for Karen, she’s back to full heart health, too, after a 2008 surgery took care of her rapid heart rhythm, and medication prescribed by doctors at Carolinas Healthcare System’s Sanger Heart & Vascular Institute controls the blood pressure swings that used to cause her fainting. Walking with Karen and Lika during the Charlotte Heart Walk, I couldn’t tell whowas happier. Both seemed to revel in the fact that they were doing something together that had previously been difficult or impossible. One day of volunteering brought them together and saved Lika’s life. Last year across our company, team members volunteered more than 1.5 million hours with nonprofits in their communities! In her own words– Karen Hill at the Charlotte Heart Walk talks about cardiology care (video). Wayne Thompson, an editor of The Wells Fargo Blog, posted the following story about a Karen Hill, a client of the NC State University Veterinary Health Complex, and her dog Lika, a Terry Center cardiology patient of Dr. Jessica Ward. The article is re-posted here with permission.